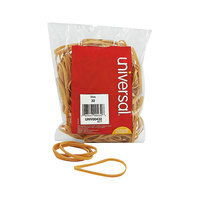 Rubber bands are versatile tools that you can use to bind things together, tie bags closed, or make arts and crafts. As a result, these products are useful additions to your school, daycare, or office setting. 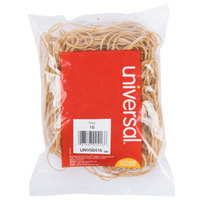 Because they are made from elastic rubber, these items can also stretch a lot without breaking, even after several uses. 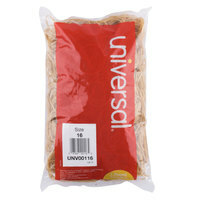 Also make sure to check out other great items from Acco, Alliance and Universal. 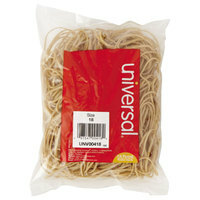 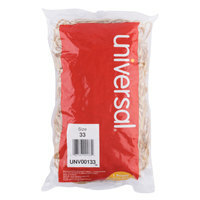 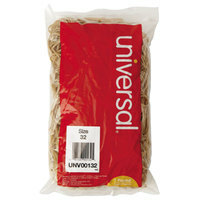 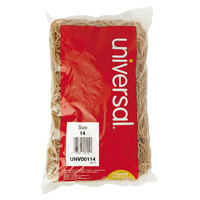 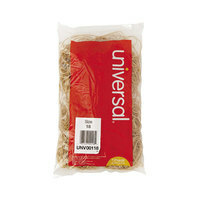 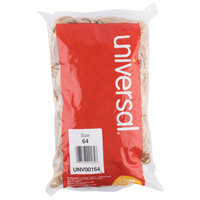 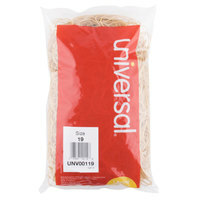 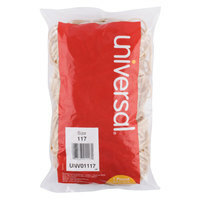 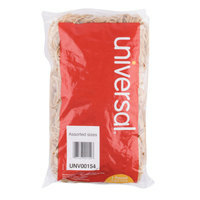 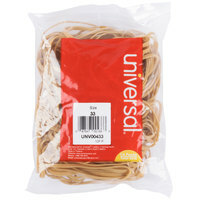 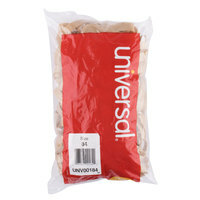 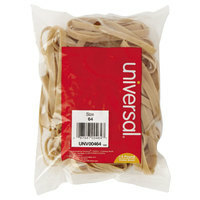 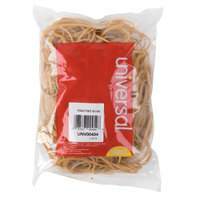 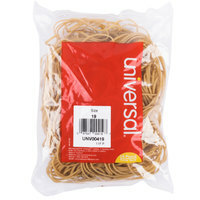 Universal UNV00432 3" x 1/8" Beige #32 Rubber Band, 1/4 lb. 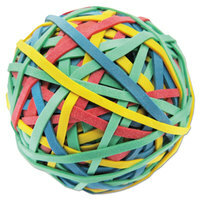 Rubber bands are a staple in offices, schools, and daycares because they are versatile. 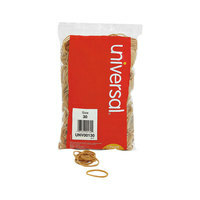 Our rubber bands also come in several sizes, so you can find small bands for tying bags shut or larger bands for binding papers or pens together. 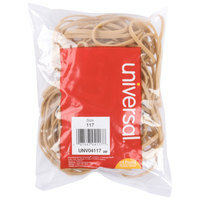 Plus, we offer this product in large quantities, so you can always have rubber bands around when you need them. For other basic office supplies, check out our pens, staplers, and tape. 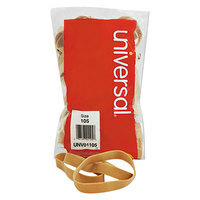 If you're wondering where to buy universal rubber bands, we have a large selection of universal rubber bands for sale at the lowest prices.